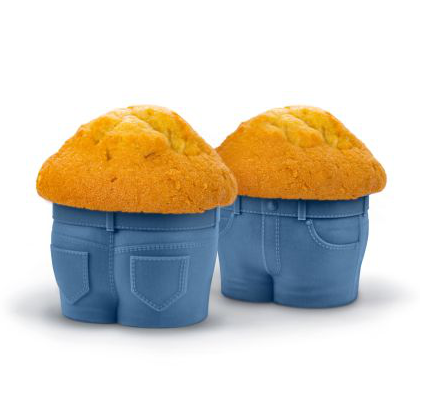 If we bake Blue Corn Muffins in these things, they count as edible Canadian Tuxedos, right? On sale now at Sur La Table. This entry was posted on Monday, January 13th, 2014 at 1:45 pm	and tagged with baking, Canadian Tuxedo, Corn Muffins, Denim, Fred Muffin Tops Baking Cups, Muffins, Sur La Table and posted in Uncategorized. You can follow any responses to this entry through the RSS 2.0 feed.